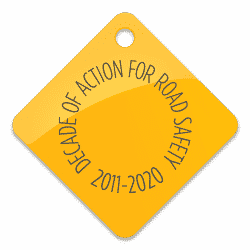 At a meeting of the Road Safety Parliamentary Platform last week, it was agreed that the EASST Road Safety Education Pack would be introduced as part of the national curriculum in Moldova. The meeting itself was the first meeting of the platform in the last 5 years. It was called on the initiative of EASST partners the Automobile Club of Moldova (ACM) and ProtectMD Foundation, and supported by Parliamentary Speaker and Road Safety Ambassador Andrian Candu, to address the serious public health issues caused by road traffic collisions. According to statistics provided by the National Patrolling Inspectorate, in 2017 there were 2512 registered road traffic collisions resulting in 273 fatalities and 2846 people being seriously injured. 350 children were involved, of whom 12 died and 80 were seriously injured. During the discussions, the ACM presented the EASST Road Safety Education Pack as a toolkit for teachers to teach road safety in preschool and school institutions across the country. The ACM presented examples of the Pack’s successful implementation in other EASST countries including Greece, Azerbaijan, Kyrgyzstan, and Belarus – where the Pack has been used to train thousands of children. The Ministry of Education warmly welcomed the initiative and committed to introducing the Pack within the national curriculum. Mr Candu also supported the establishment of a national road safety management entity in Moldova. Arguing that road safety needs to be a vital component of any road rehabilitation and/or development works. In this context, he talked about the urgent need to set up a Road Safety Agency, a Road Safety Fund and to develop a database detailing high-risk road sections in Moldova – and using this to inform solutions. The platform meeting was attended by Members of Parliament, World Bank country manager Anna Akhalkats, representatives of the European Bank for Reconstruction and Development, the Automobile Club of Moldova, ProtectMD Foundation as well as officials of the Ministry of Economy and Infrastructure, Ministry of Education, Culture and Research, Ministry of Finance, Ministry of Internal Affairs, etc. Get all the latest EASST news delivered straight to your inbox every month.